The benefits of indoor training are numerous, and go beyond just being able to workout regardless of the weather. Your indoor workouts are no longer dependent on daylight, whether you are an early bird or a night owl. Let it be cold and wet wintery days or mid-afternoon sweltery summertime, your training can still go on (not to mention the safety factor of not having to worry about cars). If you need to manage your time efficiently, having all necessary equipment at hand, in your home or basement for example, is a great advantage, and will give you more freedom to conduct your workout around the time most convenient to you. At Trivolution-Training, we use a “reverse periodization” training methodology with all of our professional and age-group athletes. That means that we work with very short but high intensive sessions on the bike, on the run and in the pool early in the season and get longer and more race-specific during the months leading up to race season. Speed comes first, and we want you to get faster at shorter distances before we develop your big engine which, of course, is what’s necessary to complete a 70.3 or long-distance triathlon. If you are an age-group athlete who has only a limited time for his or her training, “reverse periodization” can be the key to unlock your hidden potential. 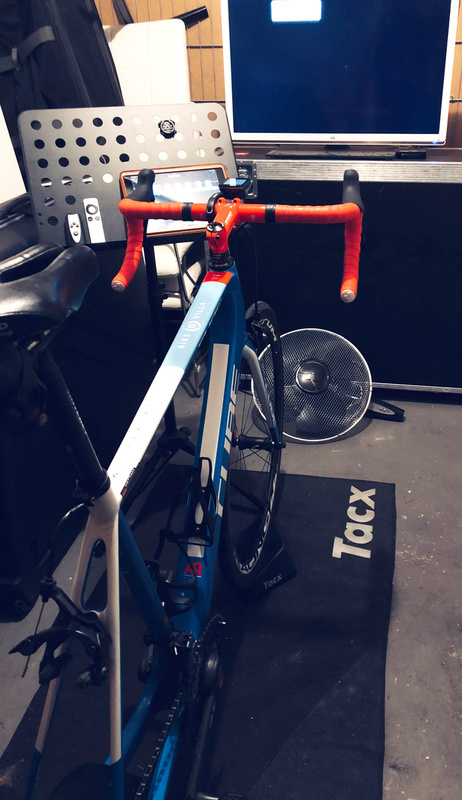 For these types of workouts, a dedicated indoor training space can help you maximize your training time and really dial-in to the speed and power efforts required to see real improvements come race season. But how to properly set up an indoor training space? Below are three different versions of and indoor training setup for the beginner, the intermediate and the advanced indoor training athlete. If you want to maximize the positive effects of your training time, you should use a smart trainer with the option of using an ERG mode (load restricted) option. ERG modes are helpful for hitting specific power targets, for example during intervals, however, I don’t recommend to use the ERG mode all the time. 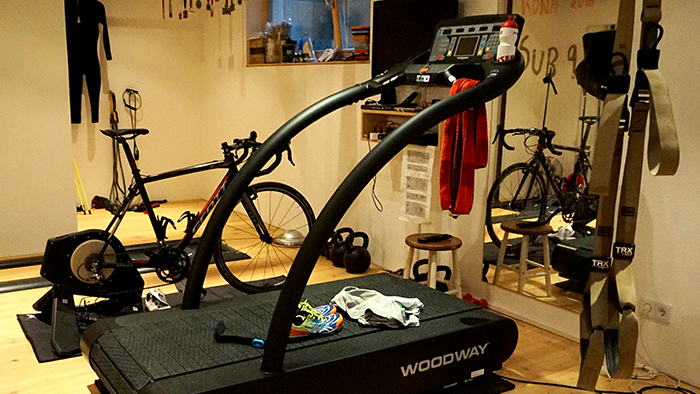 You can also simply use an indoor trainer with a power meter on your bike. You or your coach can use the TrainingPeaks structured workout builder to quickly and easily create structured workouts based on distance or duration and intensity using power. 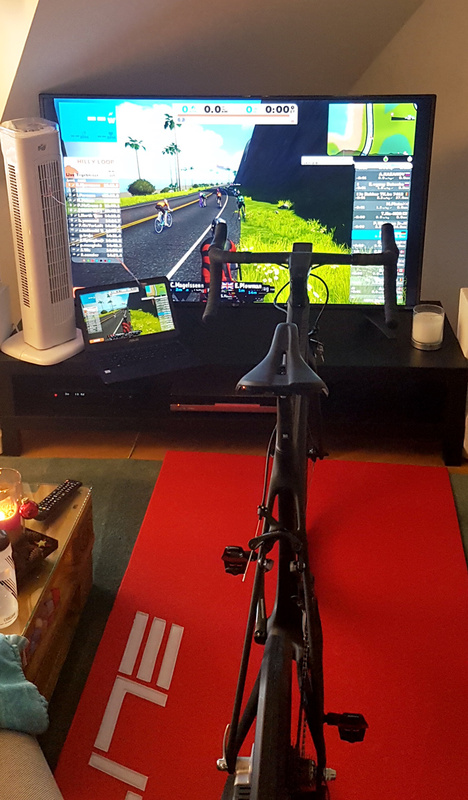 If you want to make your training even more entertaining, you can use one of the following indoor cycling apps, like Zwift® or TrainerRoad®, explained here in detail. 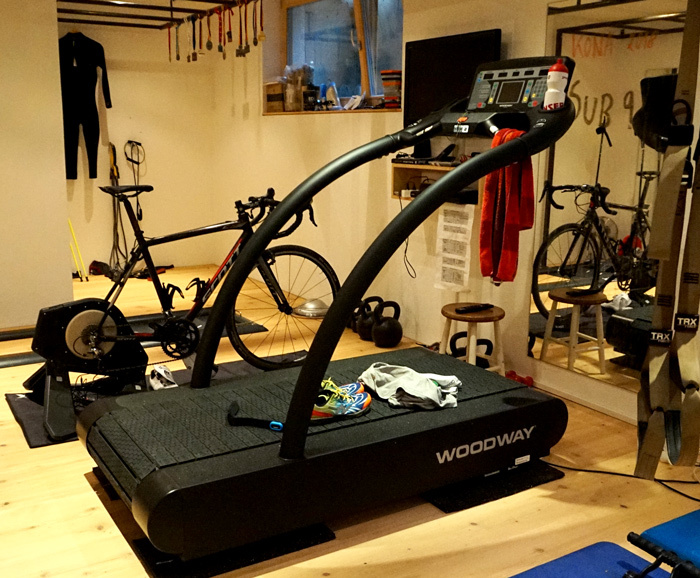 Riding your bike indoors is great, but if you have the possibility to get a good treadmill as well it makes your indoor training space truly professional. You are no longer bound to daylight or weather conditions for your bike and run workouts, and you don’t even have to leave your house to do a highly effective workout session, which is particularly great for the time-crunched athlete. The addition of a treadmill even makes multiple brick sessions possible and you can practice quick and efficient transitions as well. If you find space in your apartment or house to fix a suspension trainer, you can even do all your strength and core workouts inside. If your budget allows, you also have the possibility today to use a counter current system, such as an Endless Pool, like fellow pro triathlete Lionel Sanders who does the vast majority of his training indoors. If your budget is a consideration, simply start with a simple trainer and build your indoor space as time and money allow. Even a simple trainer is a wise investment to help you conduct more effective, intensity-focused sessions that don’t depend on weather, daylight or traffic concerns.